2. Search LinkedIn’s job listings and apply for jobs with just a few clicks using your LinkedIn profile. 3. Save your best job searches and have LinkedIn notify you when new jobs are posted that fit your criteria. 4. 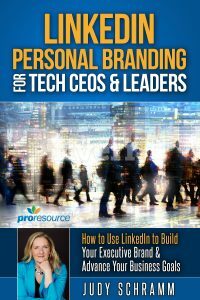 Get ideas for improving your LinkedIn profile by looking at profiles of people who have your ideal job. 5. Discover keywords you can include in your profile by looking at job postings for the kind of position you want. Add those keywords to your profile, ideally in your headline, summary, experience and skills. 6. Optimize your profile to appear in more search results. Make sure your profile is “complete,” connect with people who have large networks, join industry groups, and incorporate keywords throughout your profile. The more you have in common with the person searching, the higher you will rank in the search results. 7. Research prospective employers. Company LinkedIn company pages include a wealth of information – recent key hires, how fast the organization is growing, the latest company news, and more. 8. Demonstrate expertise by posting status updates. This shows you make the effort to stay on top of trends in your industry. You can also write blog posts and create live videos to share your expertise and insights. Actively using LinkedIn is a good way for older job seekers to show they know current technology and have the relevant skills employers look for. 9. Re-activate your network. Job offers and referrals are most likely to come from people who already know you. When you are active on LinkedIn, people see your name more often so you are top-of-mind when they hear of an opportunity. 10. View personal profiles of people at any company where you apply for a job. Ideally, choose people in your field who have large networks or the LinkedIn premium icon. Some of them will likely connect with you. Then when hiring managers view your profile it will look like you already know people at the company. 11. Connect with your future boss. When you apply for a job, find the person you will likely be working for. Tell them you applied for the position and include some information about their organization that shows you did your research and are truly interested. This is a good way to stand out from the other applicants. Let’s talk about what kind of job you want, and we’ll provide some free advice about using LinkedIn for your job search. 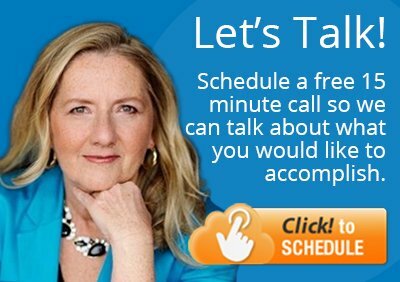 Schedule a 15-minute call here. Whether or not we end up doing business, you will come away from the call with insights about using social media that will be useful to you.